This is not your typical laser, this is what we like to call "Concert Lasers"
One aperture, seven colors to Create multicolored effects in red, green, blue, yellow, cyan, magenta or white to match the venue or event theme to amaze the audience. Flat scanning keeps every photon of light skimming right over the audience, without risking scanning too low or wasting beams into the venue’s ceiling. 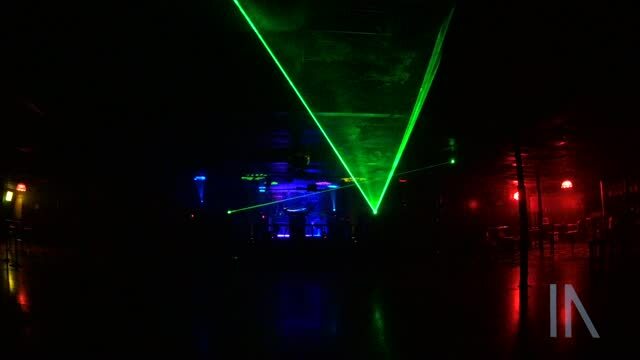 These lasers can only be enjoyed only with the use of Fog/Haze, its definitely a crowd favorite.